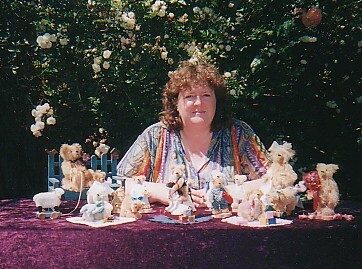 This is me with some of my bears, you can see how small some of them are. I hope you enjoyed browsing through these pages. I will continue to update my site so keep popping in.Thanks for visiting.Best Regards Tania Gallaghan.